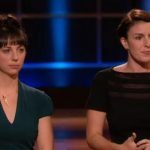 Former Army intelligence officer Dale King and his business partner Renee Wallace of Portsmouth, Ohio are the entrepreneurs behind Doc Spartan, a veteran-owned company that makes 100% all-natural skin products for men. 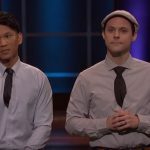 When the two pitch Doc Spartan on Shark Tank (February 10), King (also owner of PSKC CrossFit) makes a memorable impression in his American flag short shorts. 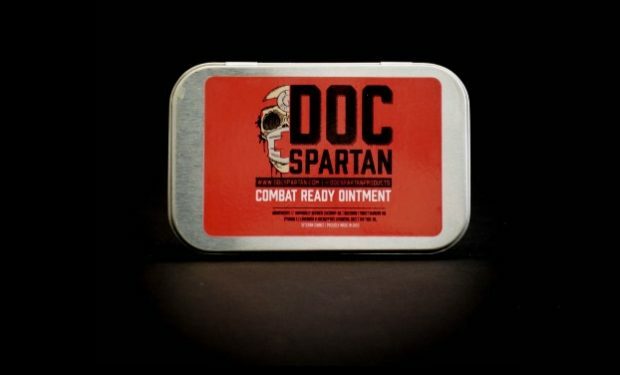 Doc Spartan’s best seller is Combat Ready Ointment ($14.99 tin), a healing ointment made from essential oils — ideal for dry, wounded skin. 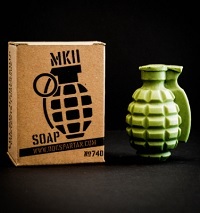 Other Man-Care products include Doc Spartan Armpit Armor ($10.99), an all-natural activated charcoal deodorant, and Doc Spartan Grenade Soap ($11.49). 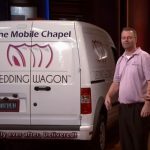 Shark Tank airs Fridays at 9pm on ABC.